We are smack dab in the middle of summer, and I don’t know about you, but I could totally go for an over-the-top, totally decadent West Egg party right about now. Okay. Not really. Those things can get crazy, and the crowd’s a bit much for me, and the thought of what to wear would be enough to throw me into a temporary paralysis. But West Egg and its famous inhabitants are all fictional anyway, so if we’re talking books, I could totally go for an over-the-top, totally decadent West Egg party right about now. And since there’s only one West Egg-ian party worth going to, obviously Jay Gatsby is the choice for our Literary Hunk of July. There’s not much that can be said about Gatsby that hasn’t already been said by Nick Carraway and, like, every high school English teacher for the past 90 years. On paper, he’s so not the type I would classify as a hunk. The pristine white suits? The “old sport”s? The put-on airs? Not for me. But Jimmy Gatz, the dirt poor boy who created his own identity, became a war hero, and built his own fortune (albeit a little shadily)? That’s another story. Here’s what’s so great about Gatsby: The man’s got heart. Let’s put aside for a minute the fabricated stories, the bootlegging and the small matter of covering up a vehicular homicide. The thing about Gatsby—the thing that makes him worth the whole damn bunch put together—is what a hopeless romantic the guy is. Everything he does is for his lost love, Daisy Buchanan. The wild parties, the beautiful shirts—all of it is done with the sole purpose of catching her attention and winning her back from that boorish brute, Tom. Sure, it may be a little stalker-ish, and you might want to say, “Er…get over it, dude, and move on,” but there’s something tragically sweet about it. Everything he does is for Daisy. Who, I might add, is totally not worth it, but, you know, that’s his choice. 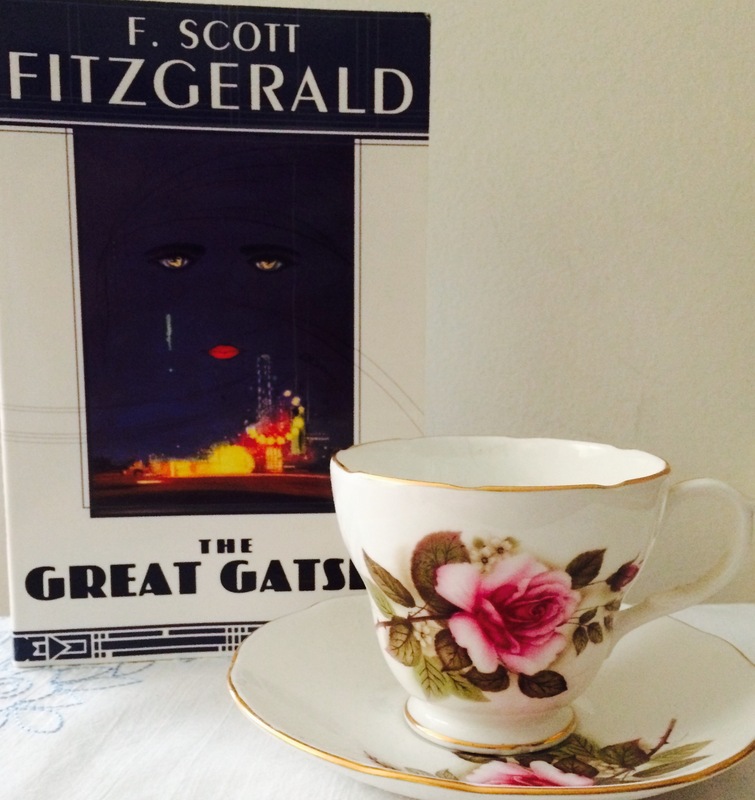 Fitzgerald’s The Great Gatsby is about a lot more than romantic love, and the title character’s hunkiness is certainly not why the book is a classic. But it helps. So even with his yellow car, gold tie and head in a dream world, I’d jump at the chance of spotting him at one of his famous West Egg parties. No one throws them better, old sport. Gatsby’s been portrayed by some pretty dreamy actors. Leo’s 2013 turn is my favorite, but Redford is pretty studly in the 1974 version too. Miss any previous Hunks of the Month? They’re all right here. Follow Book Perfume on Facebook and Twitter for more bookish talk. Five Books That Need to be TV Shows. Now. Love The Great Gatsby! One of my favorite books of all time! Great review! Makes me want to read it again soon! Or at least watch the movie this summer……with Bobby Redford is my first choice! One of my all time favorite books too! And that Redford is one dreamy dreamboat!! I agree – what makes Gatsby such a hunk is how he loves Daisy! And as for the best looking Gatsby, it would have to be when Toby Stephens played him in a television production (though, I will say, Toby Stephens does fit more of the role of Mr. Rochester 🙂 ). I haven’t seen the Toby Stephens one yet!! It’s been in my Netflix queue forever. LOVE him so much, especially as Rochester! !